Anti-cellulite contouring cream-gel that visibly smoothes, firms and lifts. 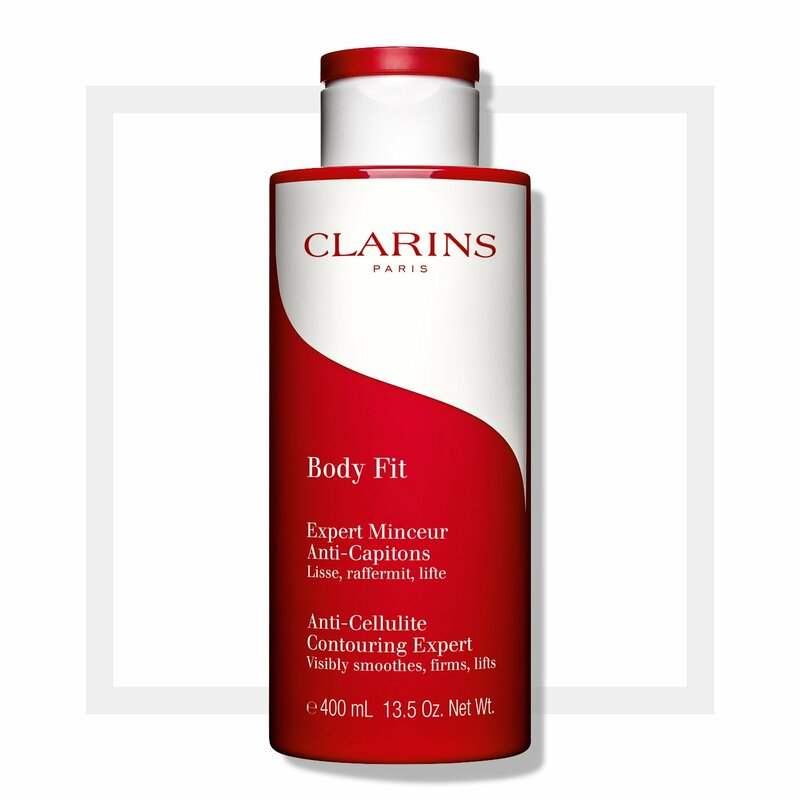 Slim down with your new personal trainer: Clarins gets a handle on cellulite from the very first application. 6.9 Oz. Net Wt. 13.5 Oz. Net Wt. Keep contouring on track with this anti-cellulite cream-gel powered by 8 targeted plant extracts—including organic Quince Leaf—that visibly firm, lift and streamline thighs and hips, reducing the appearance of cellulite with unprecedented results. Addictively refreshing cream-gel texture absorbs instantly to soothe and smooth the skin's surface. Apply with light sweeping motions—moving upward from ankles to waist. Concentrate on areas of concern: waist, hips, thighs, buttocks, arms. Rated 5 out of 5 by JB22 from I never go without! I physically have anxiety when I’m about to run out of this! It instantly makes your legs feel lighter and does wonders to smooth out all the lumps and bumps. I highly recommend this product. Rated 5 out of 5 by Netab57 from Great product!! Great product. Works well if used faithfully. I use it twice a day and can see a serious difference in the appearance of my upper legs. Smells great, goes on easily. Highly recommend. Rated 5 out of 5 by LegallyBrunette from It ACTUALLY works . . . I purchased this product once about ten years back and didn't think it did much . . . I purchased it again last month, desperate to deal with stubborn cellulite, and have been using it for a few weeks since . . . INCREDIBLE. I'm not sure if the formula changed, or if my now older skin causes the results to show up more clearly, but it ACTUALLY works. I use a minuscule amount on the backs of my legs, in the morning, about four days a week. After just one week, noticeable results, and they are continuing. I do work out, I am not overweight, and I try to eat healthy -- but NOTHING before this had touched my stubborn cellulite. I have been impressed with Clarins products before, but this is on a whole different level. Highly recommend! Rated 1 out of 5 by wtmorrow from Spent way too much for something that doesn't work I have been using this product for almost 3 weeks now and I am disappointed to say that I have not seen any change in my legs at all. I was really hoping this was going to work, way overpriced for something that doesnt work. Rated 5 out of 5 by txbett from Really works I just started using this product and I am already seeing a different in my legs. I followed the instructions as well to get the maximum benefit.